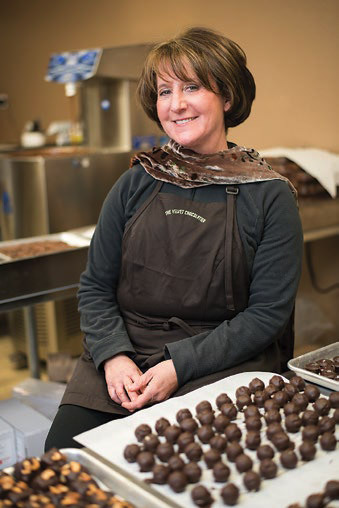 Owner and chocolatier of The Velvet Chocolatier. CHOCOLATE CASHEW CHEW. Toasted cashews and creamy vanilla caramel, dipped in chocolate. 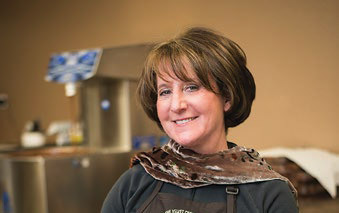 It’s my personal favorite chocolate treat in the kitchen. I have two everyday, thus the need for the gym. GYM MEMBERSHIP. I always start my day by going to the gym. It makes me feel good and allows me to have some room for chocolate sampling. SHEEP GO TO SLEEP. One of my favorite books to read with my grandchildren. JEAN-PIERRE WYBAUW BOOK. I’ve had this book for years. 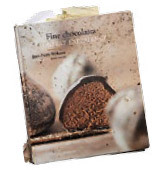 It was written by a wonderful Belgian chocolatier who taught a chocolate course I attended. REMOTE CONTROL. I work with a television in the kitchen, so I need this to watch all of my favorites. I think it makes the chocolate taste more delicious. 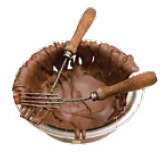 CHOCOLATE DIPPING FORK. This is essential for coating the perfect ganache. DENTAL FLOSS. Some people carry lipstick in their pocketbook, I carry floss. Need I say more? 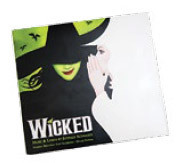 THE WICKED SOUNDTRACK. This is always playing in my car, and I love to sing along with my grandchildren. REUSABLE CUP. Always carrying my own cup for water and coffee. Doing my part to save the world. WEDDING BAND. A constant reminder of my favorite person ever, my husband. This Just In! We were featured in JMore!